Do you fear exposing your dark secrets? Are you so self-conscious that you swore of wearing sleeveless shirts and tube tops even under the sweltering heat of the sun? You are not alone. Dark underarms are a common problem for many women. Despite trying out many whitening products, this problem is just so persistent and frustrating. Take a deep breath and worry no more! There’s a simple solution to your problem: underarm bleaching. 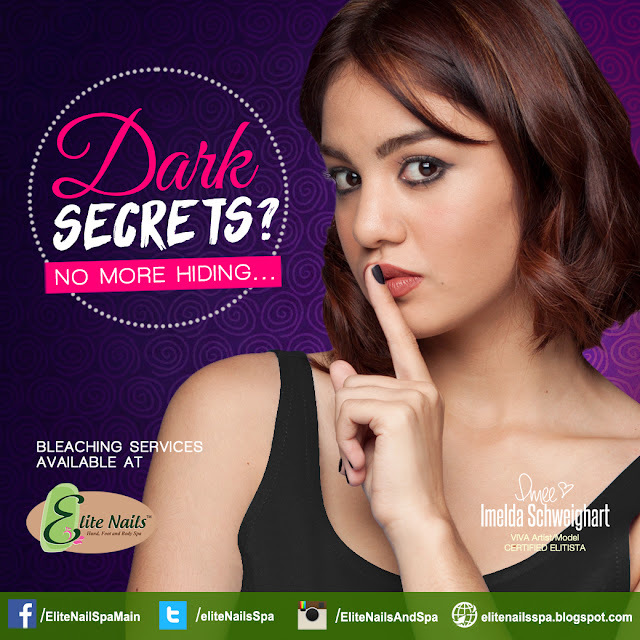 You no longer need to hide your dark secrets under long sleeves and cardigans with Elite Nails’ Underarm Bleaching which is proven to be safe and effective. Needless to say, it guarantees fair and smooth underarms that you will never again be afraid of exposing. Don’t let dark underarms ruin your planned OOTD. Wear what you want without being conscious of any dark secrets. Say goodbye to boring shirts and sleeved blouses and say hello to trendy sleeveless shirts and spaghetti tops with Elite Nails’ Underarm Bleaching!